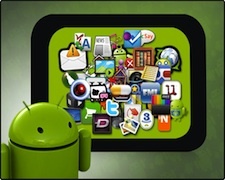 Android is a open source operating system for mobile devices which has been developed by Google. It is just getting better and better with bigger display screens, latest features, cool apps and much more. With latest features coming in, one of the most prominent changes coming in Android phones are high quality camera to take good quality images. Alongside these days social networking is also a fastest growing trend among the mobile users. So we can say that you must be passionately looking for best social networking apps for your Android mobile handset. The best part of Android phones are its applications. There are millions of apps already presenting in the Android market and thousands of new apps are being added each month but it is bit difficult to choose best ones from those. Thus we have showcased best apps for your Android device to keep your LinkedIn profile and Facebook status updated, chat with other users and send and read the latest tweets on Twitter and many more..
Have a look on SaveDelete’s compilation of “18 Most Useful Android Apps For Social Networking” so you can expand network easier than ever. is a Software Engineer, .Net Developer, and a blogger from Jaipur.